I just wanted to say thank you for Monday evening, we were so lucky with the weather!!!!!! 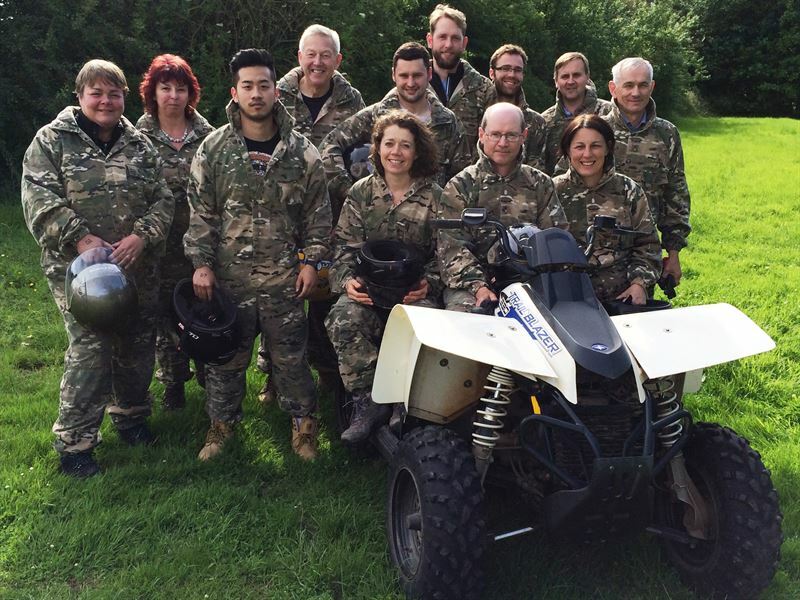 The team thoroughly enjoyed the Quad biking (shame the football didn’t live up to the same level of enjoyment!!). I would like to say that the whole experience was fabulous, the team are brilliant. Please pass on our thanks to Jamie and the boys for taking us around the park and keeping us under control ha ha!! I wouldn’t hesitate in recommending Wild Park to anyone who wanted to do Quad Biking. The whole team were supremely professional, all of the equipment was to a high standard and everything had been taken care of, all we had to do was turn up, have fun and enjoy it – (I did go home with squelchy trainers ha ha – the sign of a good time!! ).